To launch our Pavilion research project we were invited by Architecture and Design Scotland to create an exhibition for The Lighthouse, Glasgow’s centre for architecture and design. The focus of the exhibition was to reflect on our work to date and to look at key focus areas for our research. The exhibition contained a number of elements: Images of previous work, text, film, and an interactive installation. We created a film with children for the exhibition using a passage from the poem Gareth and Lynette by Alfred Tennyson as the starting point, to inspire ideas about what a ‘pavilion for children’ could be. 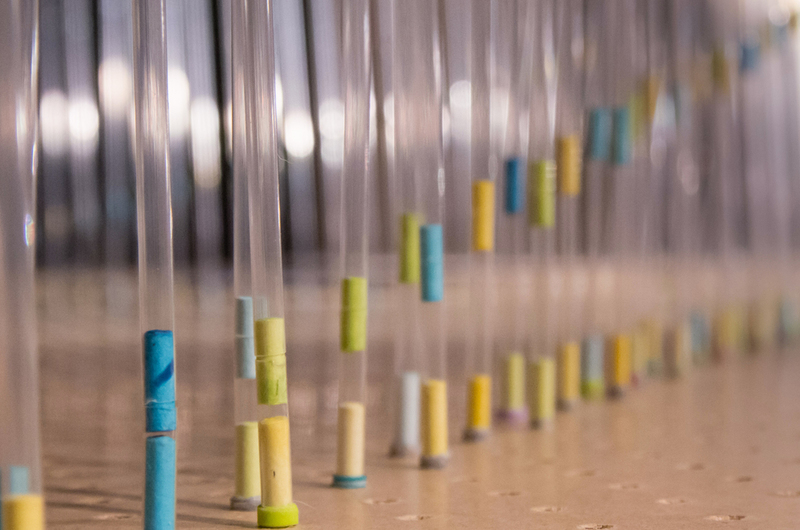 Visitors to the exhibition could interact with the peg-board and create their own translucent structures with straws and connectors. They could also leave ideas cards with drawings pegged to the board.